Don't be left in the dark at any point! 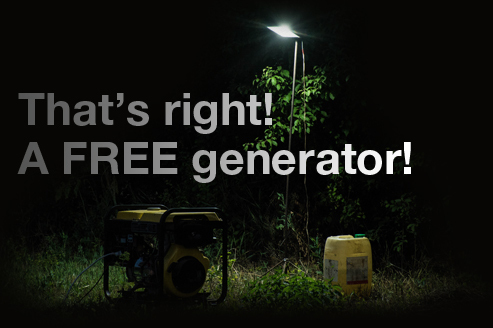 and receive a free generator! Terms and Conditions apply. Images for illustration purposes only and may differ. Offers valid while stock lasts. Subject to in-house finances where applicable. Model depending.